Have your hands ever gone numb on rough roads? Have you experienced cramps in your hands from riding too far? Have you ever used rubber grips that have turned into a bubblegum state of stickiness? 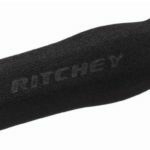 After testing all kinds of grip and glove combinations over the years I have found that grips make one of the biggest differences to rider comfort on the road; especially on rough roads. Many experienced cyclists will tell you that the ‘contact points’ are the most important part of the bike to optimise comfort, and I agree. You should invest in good quality pedals, shoes, grips, handlebars, seats and seatposts. Your body will thank you. This article explores three different types of grip that I use and recommended for bicycle touring. Silicone grips are light, grippy in all weather conditions, easy to clean and most importantly have the best vibration absorption properties out of any grip I’ve used. They are UV resistant, which means the grips won’t harden or change colour over time. The real downside to these is that you have to be careful with them as they are quite easy to tear. I recommend using bar-ends or decent bar-plugs to prevent this. Why should a grip be round? Ergonomic grips make sense. They have ‘wings’ which stick out and provide support for your wrists when your arms get tired and your posture is suffering. The key to set up is to make the ‘wings’ a bit lower than where your wrists naturally go, which means that when you relax the ‘wings’ keep your wrists in an ergonomic position. This ergonomic component manufactuer almost has a cult following for their saddles, seatposts, pedals and grips. They make lock-on grips suited to small and large hands, with and without bar ends. I recommend these over every other brand: most are just basic copies of Ergon’s design. 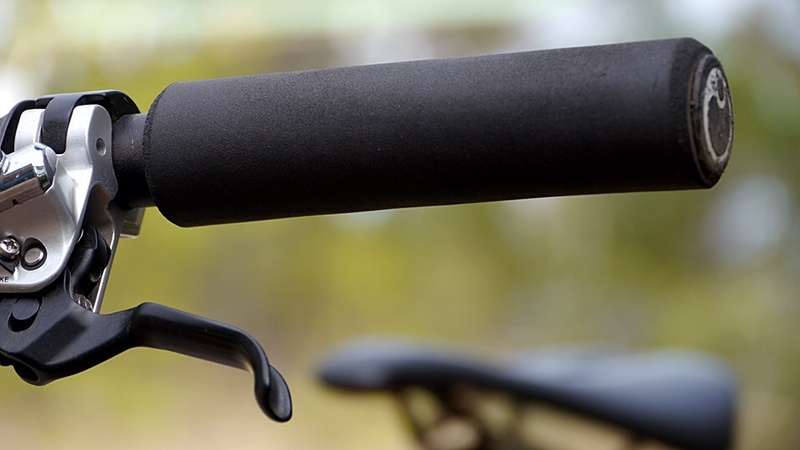 Foam grips were the go-to grip for mountain bikers about five years ago until silicon grips took over. Chosen because they are light and grippy in wet conditions, foam grips provide a more comfortable ride than most rubber grips I’ve played with. The downsides are that they are easy to tear and lose their spring after lots of time in the sun. Beware of foam grips that are almost rock solid, they won’t do much for rider comfort! 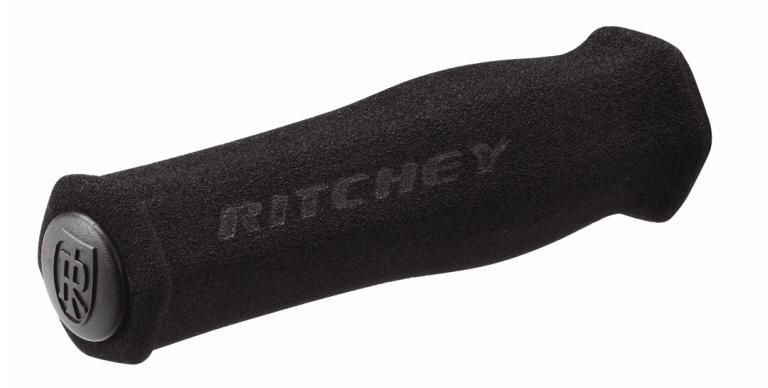 These guys make the most popular low-density foam grip available – despite cheaper options available. A lock-on model is available too, which reduces the risk of tearing and is definitely the smartest option for a bicycle traveller. – They protect silicone or foam grips from being damaged at the end. Another way to get the most out of your hand comfort is to use gel gloves. On really rough off-road race courses, gel gloves stopped a lot of cramping in my hands and forearms – I now don’t ride a mountain bike without them. They are a tad expensive and really only last a season or two under under me, but they’re super comfortable. Have you tried gel pads? Here’s my review of the Fizik handlebar pads. What grips do you use and recommend?